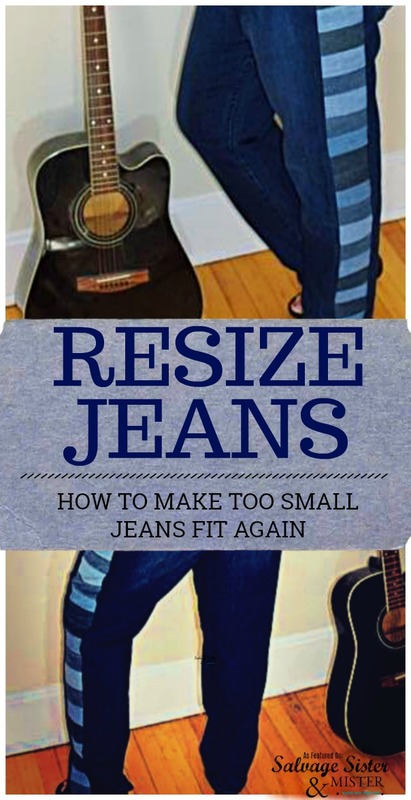 How to Make Your Too Small Jeans Big Again, Easy Hack! We have a special guest post by Jessica at Chambray Blues Sewing Patterns and Tutorials. She is really quite amazing at all things sewing! What do you do with your old jeans that no longer fit? 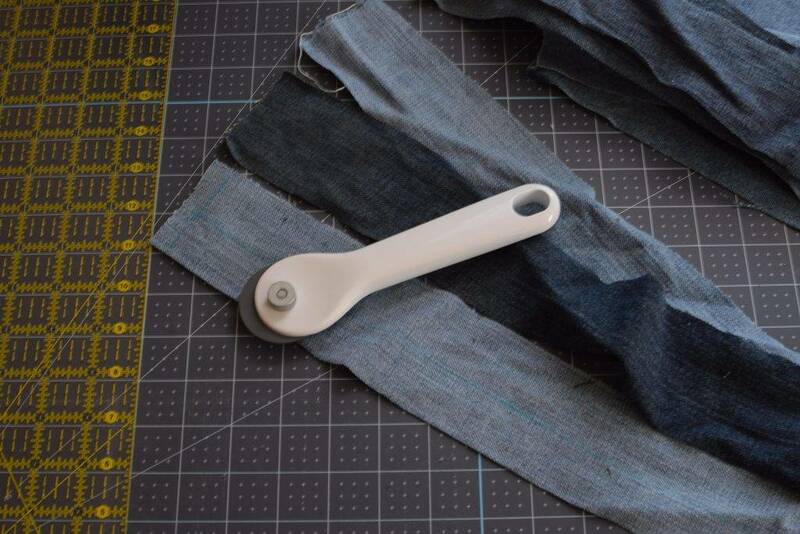 You can update them so they fit like new with a few scraps of recycled denim, here’s how! We are all guilty of purchasing something that didn’t really fit us, right? Recently, I came home with a pair of jeans that were 3 sizes to small from the department store. I don’t know what possessed me to buy them because I knew they didn’t fit. All I wanted was a high waist style in a dark denim, but the store did not have my size. There was a coupon and a gift certificate that I needed to use, so I bought them anyway. These brand new jeans were not returnable and had been sitting in my closet for ages. They had never been worn, until now. I could give them to the thrift store, but I was determined to not waste them. After a bit of experimenting, I figured out how to get the perfect fit by sewing an insert down the side of the jeans. 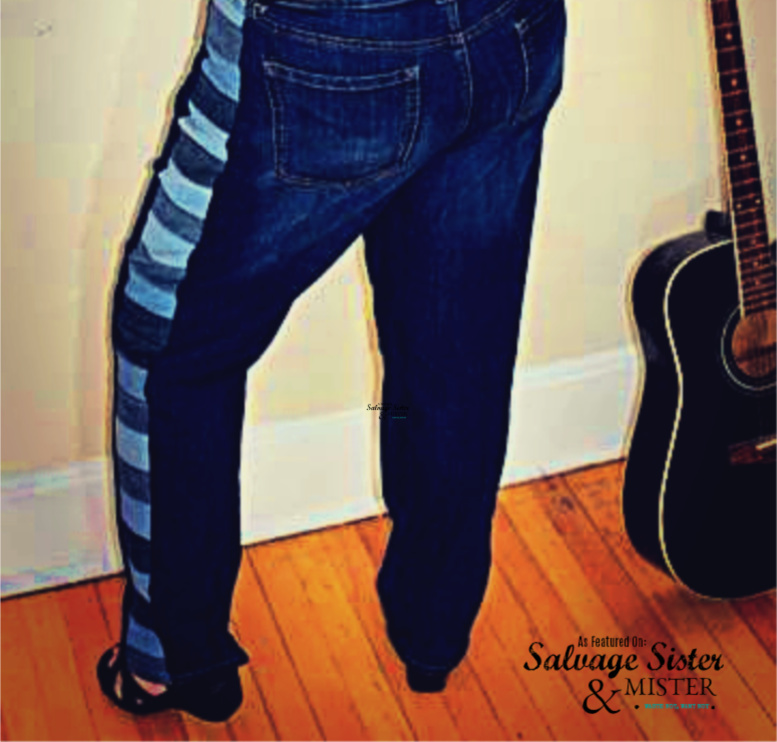 The insert is made of strips of recycled denim (I love my scraps of my boys old jeans!) that were stitched together in a colorful stripe. *Affiliate links are used to show the same or similar items used. You can read our full disclosure policy here. 1. First, measure your waist and record the measurement on a piece of paper. 2. Next, measure the jean waistband circumference. 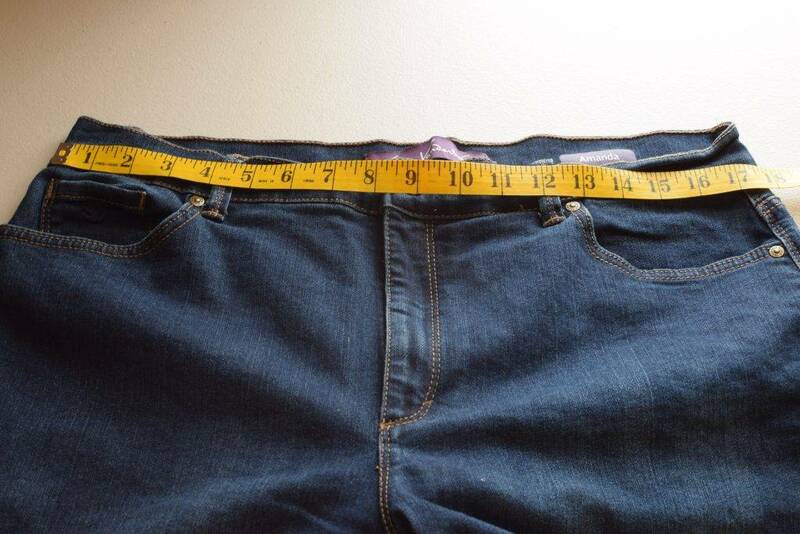 Subtract this number from your waist measurement to get the amount of inches you need to add to the jeans. 8″ need to be added to get the jeans to fit. 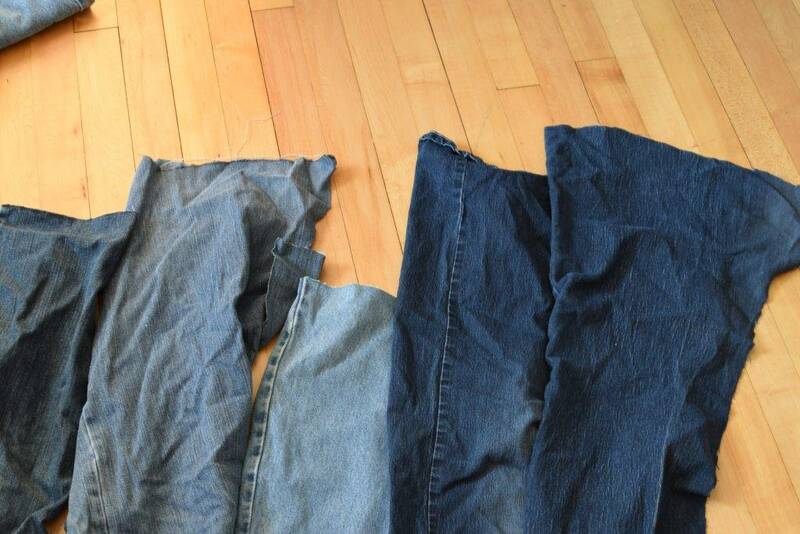 By dividing 8 in half, there is 4″ to add to each side of the jeans. If you need to add extra room in the hips, it is easy to shape your insert on a curve so you are adding more to the area where it is needed to fit. Strips are cut 2 1/2″ wide and made as long as possible. 3. 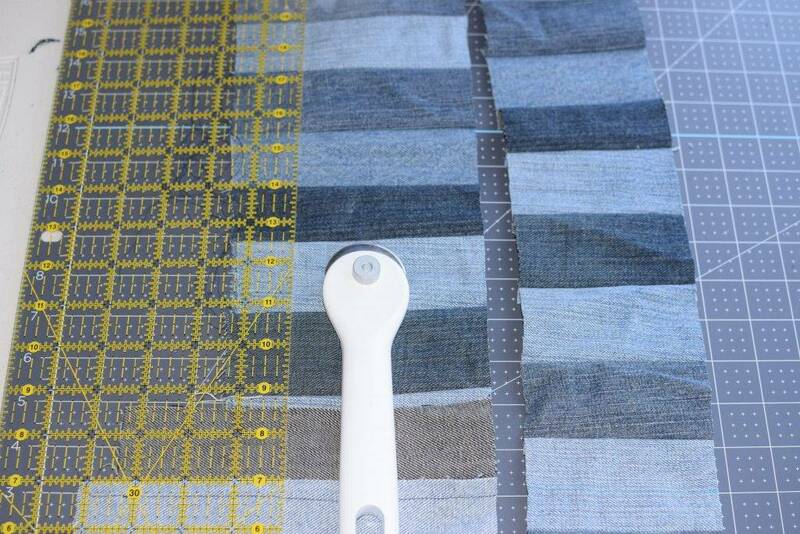 Now you will sew the strips of denim together with 1/4″ seam allowance, matching the left edges, the length of the piece. You can piece the strips together if they are too short, as needed. 4. Next, cut into pieces the width that you need for your insert with a rotary cutter or scissors, mine were 4″. If you need more room in the hip, your pieces may be wider in that area. 5. 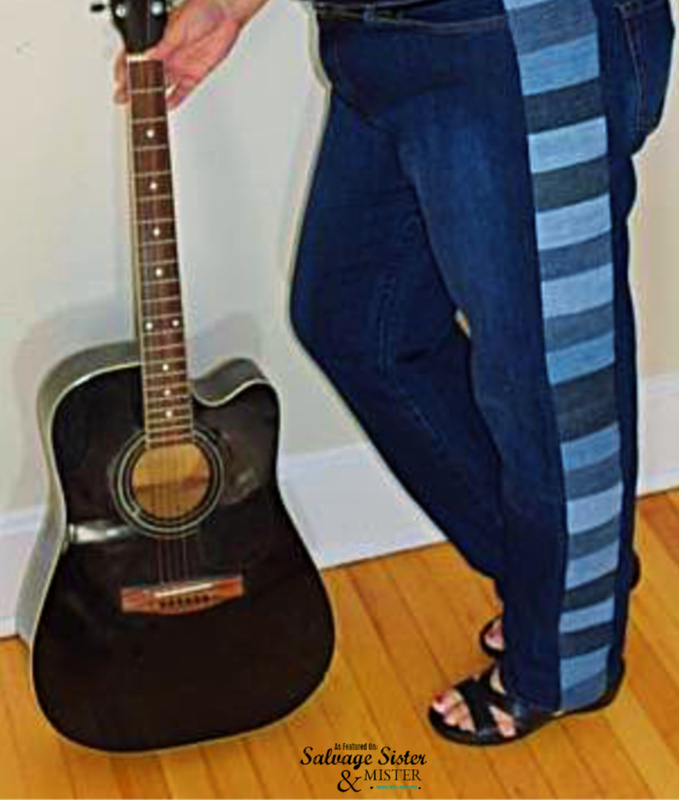 Sew the cut strips together, edge to edge, in long strips until the piece is long enough to fit down the side of your pants plus 1″ for hemming. Trim away excess. Hem the top and bottom edges of the strip with 1/2″ folded hem. 6. Cut side seam of jeans apart, from hem up through the waistband, removing seam allowance and any rivets that may be in the way of stitching a new seam. Baste pocket to the side of the jeans if needed. My pocket was sewn into the side seam, so when I cut the side seam away the pocket was loose. It was basted in place at the side seam to make the sewing easier for the next step. 7. 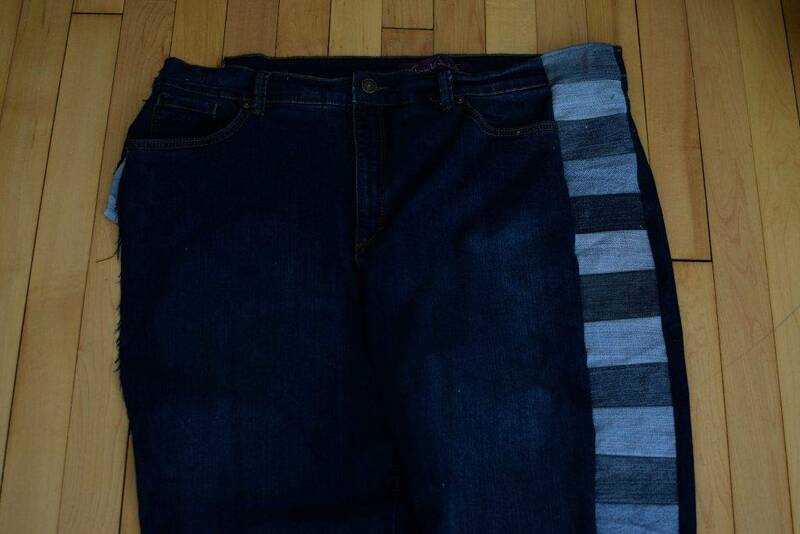 Finally, with right sides together, sew the insert to the side of the jeans on the front and back. Repeat on the other leg. These jeans are now super comfortable to wear! The denim insert has a bit of stretch to it fits great, and it is so nice to have new jeans with a unique design to wear! I am thrilled that this purchase was not a waste of money, and I know I will get lots of wear out of them this fall! If you would like more information on diy fashion projects from my Chambray Blues Blog, click here! 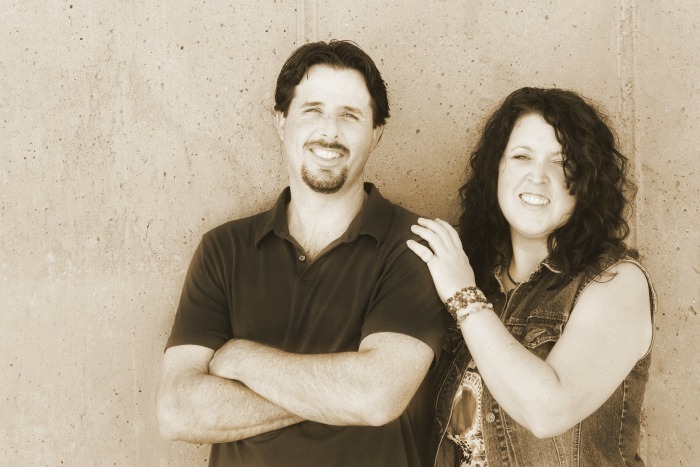 Thanks to Deborah for having me guest post! THANKS TO JESSICA FOR SHARING THIS WITH US! Don’t forget to check out more projects she has made to waste not, want not….